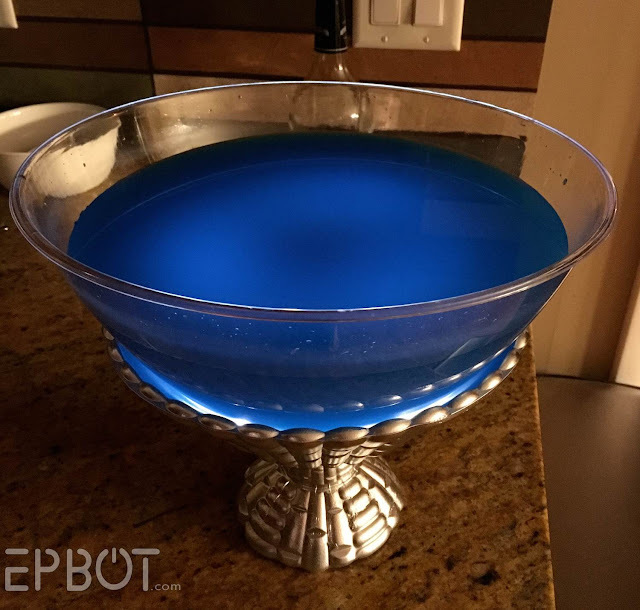 EPBOT: DIY Pensieve Punch: A Glowing, Shimmering, DRINKABLE Potter Potion! DIY Pensieve Punch: A Glowing, Shimmering, DRINKABLE Potter Potion! And yes, the punch is safe to drink! This pic is straight off my camera, no photo-editing whatsoever. So, want to make your own? OF COURSE YOU DO. Even if you're not into Harry Potter, this punch is cool as heck! This one is from our local Dollar Tree and cost - you guessed it - a dollar. 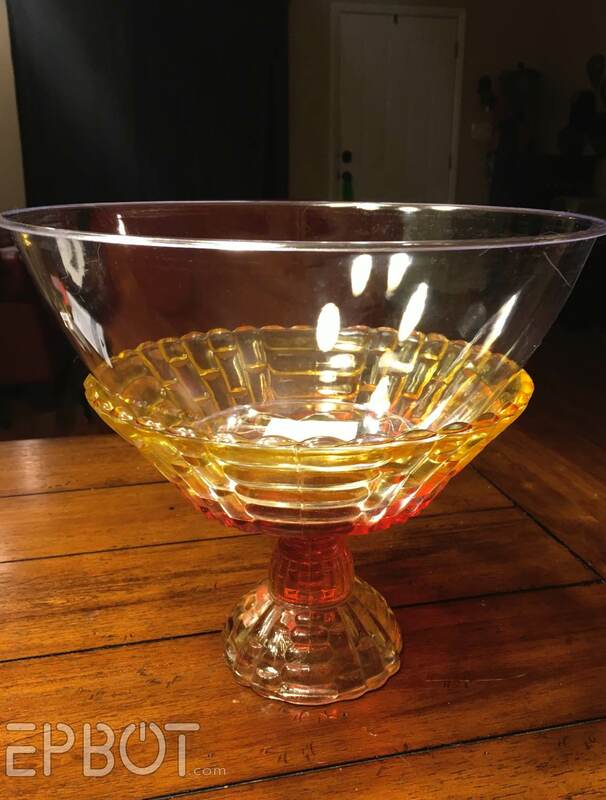 We found this glass bowl/candy dish at a thrift store for $3. Or, if there's room, you could also try a battery powered push light. Other than the punch itself, the only other expense is dry ice, which I was amazed to learn is only $1.50/lb at our local grocery store. John grabbed 4 pounds, which was such a ridiculous amount we could have kept the punch bubbling all night. So maybe just get 2 pounds. The dry ice comes in a small slab, so crack it into chunks with a butter knife. (Try not to touch it with your bare hands.) Too large of a piece will cause severe bubbling and possible splash-over, so start with the size of lime or smaller. Note that dry ice displaces oxygen, so don't go shoving your face in the "smoke." You also should avoid swallowing any small pieces of it. Fortunately the bubbles make it easy to spot, but be extra cautious with kids, and don't let them serve themselves. It cost less than $4 at our local cake decorating outlet, or you grab it on Amazon for a little over $6. It's night-and-day in real life. The Wilton Pearl Dust adds a slight glitter, while the CK dust is like actual magic. Those were the only two brands we tested, so if you decide to try another, please be sure it has a big ol' "EDIBLE, NON-TOXIC, FDA-APPROVED" on the packaging. You do NOT want a cosmetics grade dust; it must be food grade. ... and that's a heavy amount of shimmer, so you could easily use less. 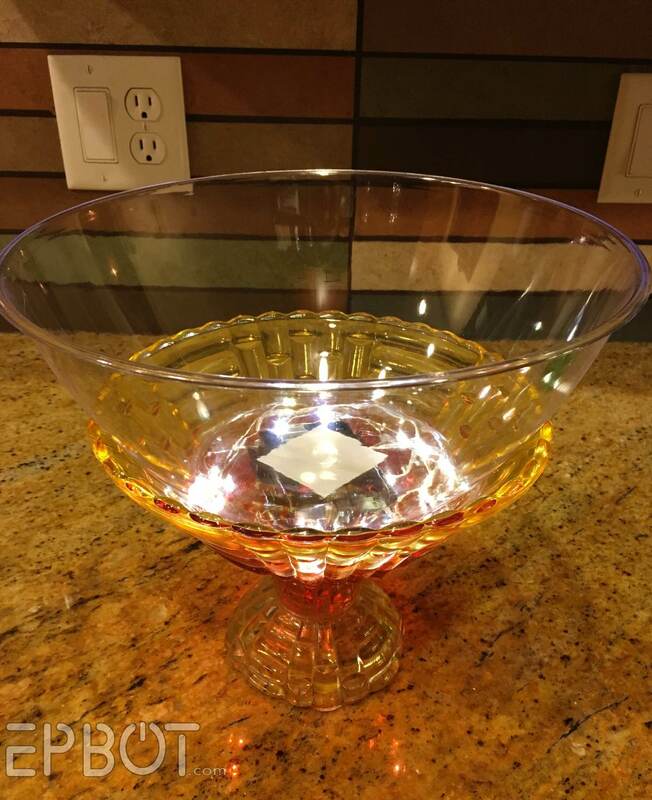 I'd guess one container of pearl dust should shimmer up at least 6 punch bowls - more than enough for just about any party. Once you have your Super Pearl Dust, you'll need to mix it in a completely transparent liquid - so no pulpy fruit juices or creams. Alcohol, clear soda, or even water looks fantastic. Increase all quantities as needed. The result is a sweet citrus-y punch, since the Blue Curacao is orange flavored. 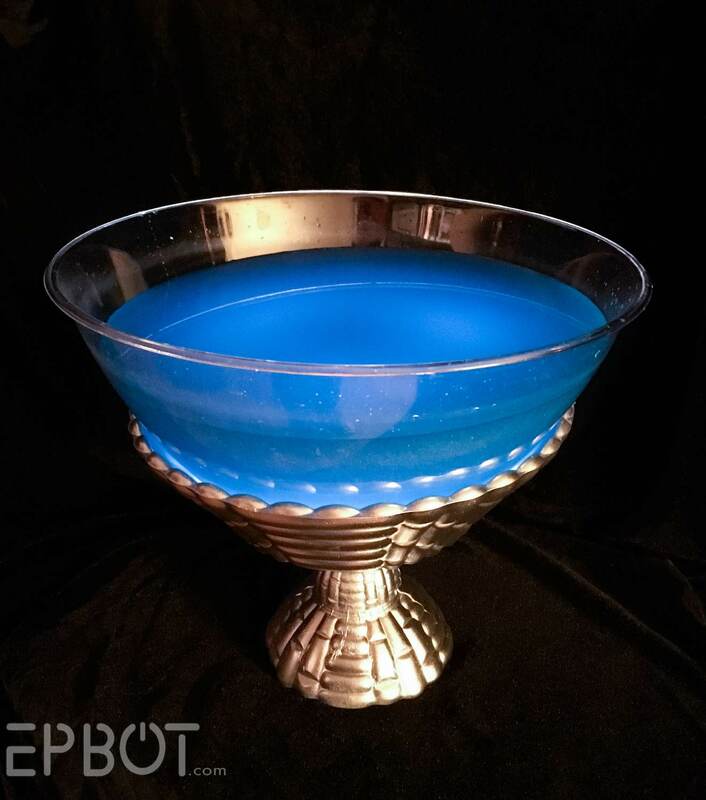 Serve in clear glasses, so your guests can oooh over all the swirling, shimmery goodness. Note that the pearl dust will settle over time, so if you don't have dry ice in your Pensieve to keep it bubbling, you'll need to give it a stir every now and then. Want more Harry Potter crafts? I have tutorials for flying snitch ornaments, floating candles, light-up wands, and more, all over on my Craft Page! This is sooo pretty! I'd love to see if someone makes an actual silver one, I bet that would look amazing. 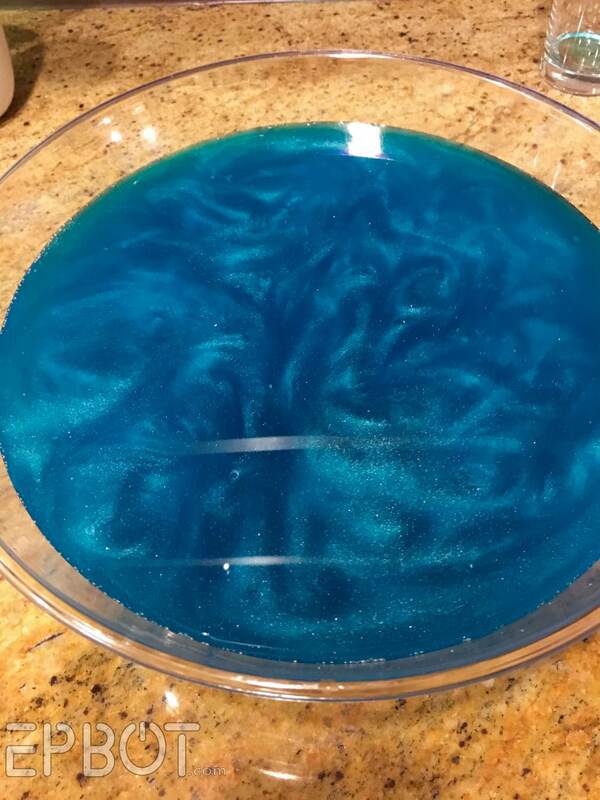 The blue glitter reminds me of a Lush bathbomb, so, eh, is it weird that I wanna take a bath in this? Ooh, sparkly! I love it! Gorgeous! For a more alcoholic one, there's a brand of vodka thats full of pearl dust too! At first I thought they had used Viniq. That stuff is potent! Stupid question, but what do you do with the dry ice? Just put it right in the punch like you would put ice cubes? How much at a time? Do you cut it into chunks? How does it come? I've never used dry ice before.. could you add a bit more for that step, maybe, please? Ah, good point! The dry ice comes in a small slab, and we just cracked off chunks with a butter knife. You only want a little at a time - maybe the size of two ice cubes together - or else it will bubble so fiercely you'll get a splash-over. I'll go add that to the post, so thanks for asking! Awesome! Thank you so much. I'm really looking forward to trying this! ohmydog, you are the best! this looks great. so simple...i love it! FYI: do not try to swallow dry ice pieces. It could damage your mouth or esophagus. You might want to keep the ice as a large-ish chunk so you don't accidentally serve little pieces to people. I can't wait for pics from your party. I'm sure the decorations will be awesome! Excellent point, Jessica, thanks - I'll go add that to the post, too. I agree, and would recommend keeping the dry ice in a tea infuser or something similar when it's in the punch. Safety first! Use gloves or tongs to handle the dry ice. You can get a "burn" from it. So awesome! Now I need to have a party to make this for. Note: you can sometimes get dry ice "cubes" from fish stores -- and it's what we lab-type use a lot of times (in addition to the big-giant-block kind). 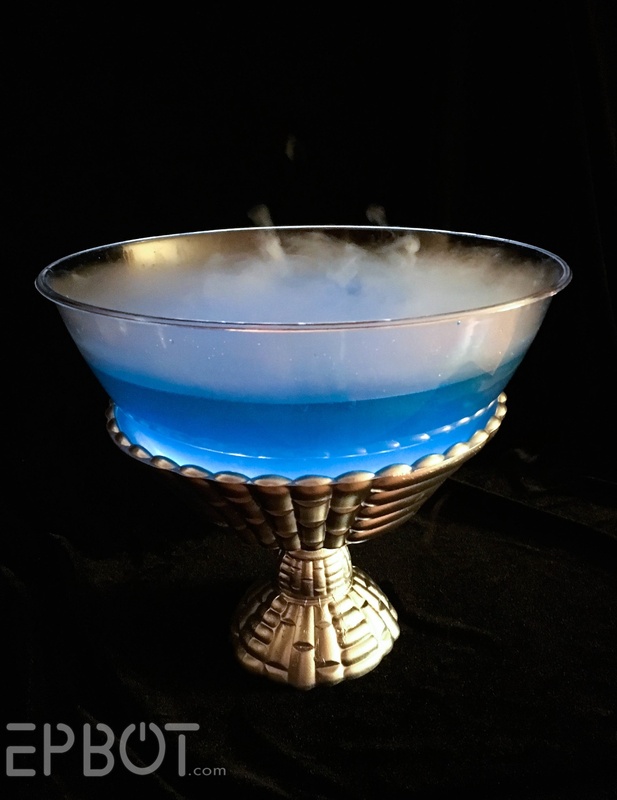 With the leftover dry ice, stick it in a glass and add stuff to it -- turns lots of fun colors and SCIENCE! This is SO COOL! 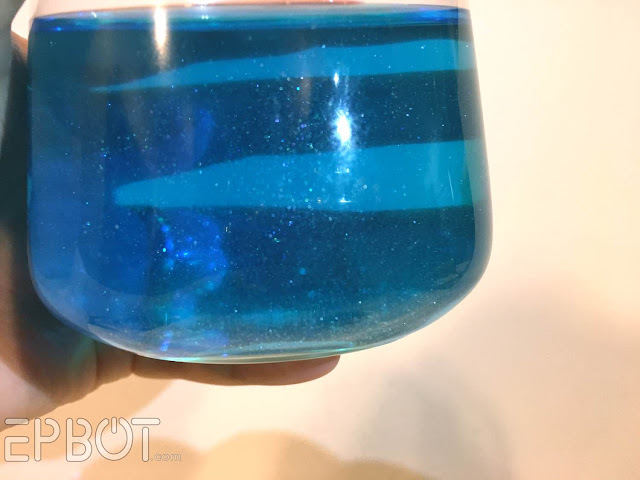 A favorite punch of mine is based on the ocean water drink from sonic, which is blue coconut syrup (I usually get snow cone syrup) and sprite, so you could replace the blue curacao with blue coconut syrup for a pina colada-y non-alcoholic version! Here's a video from Steve Spangler Science on how to handle dry ice safely: https://www.youtube.com/watch?v=62bNc0x5i_M Not plugging them specifically, but love watching their stuff with my kids and this post reminded me about this one. Is my daughter suddenly having a Harry Potter 2nd birthday party just so I can make this punch? Possibly. Hi everybody, I'm a physicist that messes around with dry ice for fun. It is very difficult to breathe in dangerous levels of CO2 from dry ice, as it triggers your exhale reflex. I tried inhaling the vapor once (with plenty of responsible friends around) to see what it was like, and I immediately pulled away and started coughing when I tried to breathe in. Unless you have the dry ice in a very small room for a long period of time, you don't have to worry about fumes. The only dangerous part of using dry ice is making sure that you do not directly touch it with your skin/mouth. 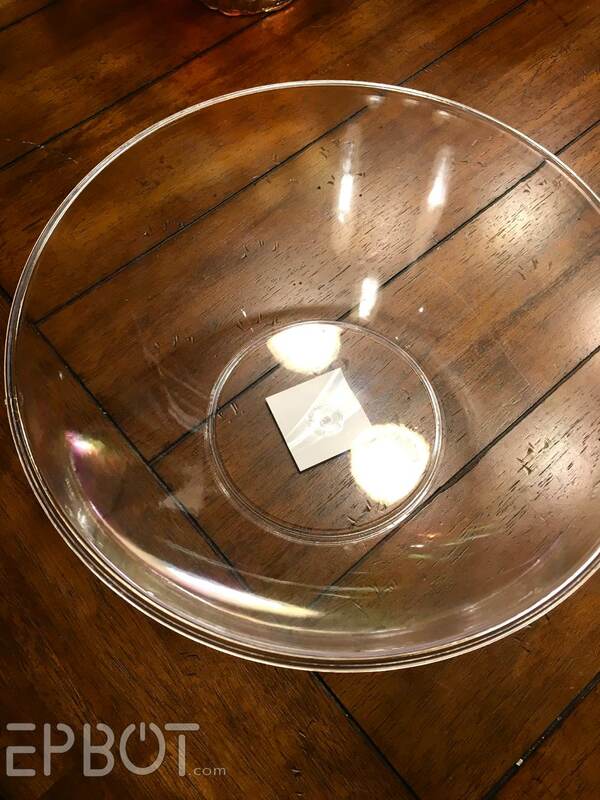 Also, if you don't use a stand, putting too much dry ice in can freeze the bowl to your table. If that happens, just keep adding warm water until the ice melts, and the bowl will come free with no problems (also voice of experience). Tres amazing! I wonder if adding some cabbage juice indicator would totally ruin the taste of the punch -- but at least you'd get some cool color changes as the dry ice sublimates. Once I saw that shimmer I thought you just used Viniq liquors as it comes in fun colors/flavors and shimmers. Yeah, I'm pretty sure Viniq uses the same kind of pearl powders, so it's fun to know the "secret." Yes, their "secret" is definitely out! Punch recipes are pretty easy. I bought a whole cookbook of nothing but punch recipes once. The basic idea is this: Have one part tart juice, one part sweet juice, one part a soda of some sort, and sometimes add a cup of strong black tea to enhance the flavors. You should have all ingredients COLD at the start and you can pour it over regular ice or an ice ring. I have a lot of fun with the syrups at World Market for sweet flavors. I loved pineapple juice, vanilla syrup, and ginger ale. It's all in the experimentation. oooh, oooh, oooooh! I'm so excited by this :0) I'm having a Hallowe'en party so I might have to make a witches brew version of this with Ribena. Unless we're making something like Hawaiian Wedding Punch (not relatd to the commercial stuff), we usually use Hawaiian Punch (the commercial stuff) with sprite or squirt or ginger ale. Just and FYI for Jen. :D I'm going to look for that pearl stuff and play at our next party! Someone please make a green one with a locket at the bottom, and we can all sit around the party and weep for Kreacher!!!! Actually, put the locket under the punch bowl so it can't be reached. I think my jaw dropped on my desk when I saw this! Off to the craft store for some super pearl dust! I'm so happy you included the video! My phone got all sulky and refused to play it when I saw it on Instagram. This is so amazing. I've never seen anything like it! How did you come up with using luster dust?! What an awesome idea!!! A friend's having a HP-themed party soon, so I had to link her asap. I've died. I'm dead. Jen and John this is just too damn cool. You've gone too far, I'm now convinced you're actually magic, there's no other explanation. Can I come and study under you and learn these ways of creativeness and magic and seriously you're awesome and have just made me more determined to have a Potter party for my next birthday. YES! Cool though it looks, I'm not sure I'd want to drink that. Looks like drinking soft soap. 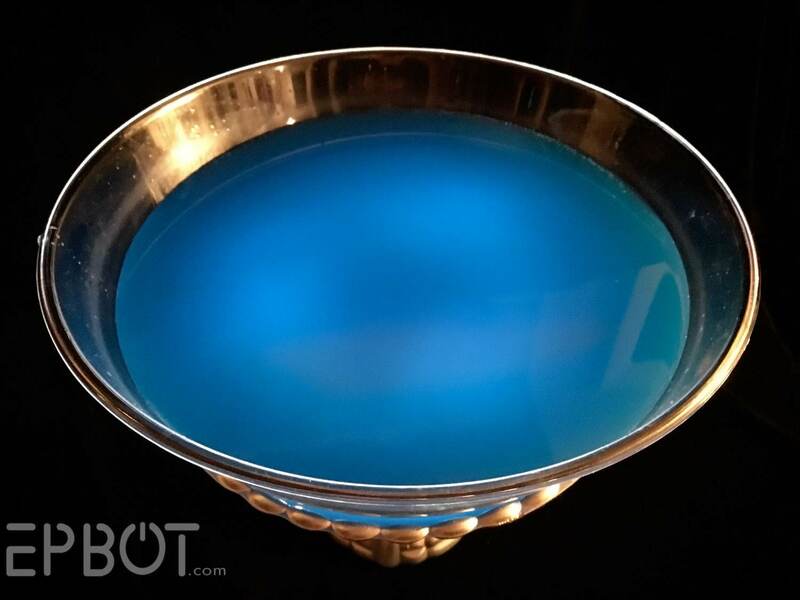 If you want a super-alcoholic blue punch recipe - this is an awesome one. It's light and citrussy (and it was in a really fun book by the same name by Kirsty Brooks). I absolutely just read "SUPER PEARL/Non Toxic" as "SUPER Toxic" and went "uhhh whatcha doing Jen..."
I just found this recipe so, I'm a little late to the game but I was wondering for those of you that made the punch, how many does 1 recipe serve? 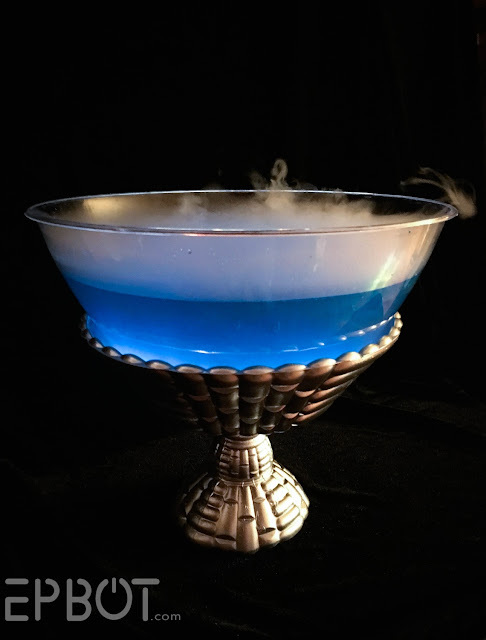 I used this concept for a Potter Party last night, except I just made it Sprite and the pearl powder, and painted different food colors onto the bottom of clear cups, so when they poured the punch, it transformed in their cups. We called it "polyjuice" and the colors determined their teams for the first game. Jen we did this for my son's birthday using Vitamin water (lemonade) and sprite with silver sparkles. The photos do NOT do it any justice, it had a beautiful silver color and everyone at the party was so impressed they asked me how I came up with such a creative idea!! I was honest and told the truth, that it was your idea. It was the hit of the party! My bowl didn't look as fancy, but the display was quite impressive! 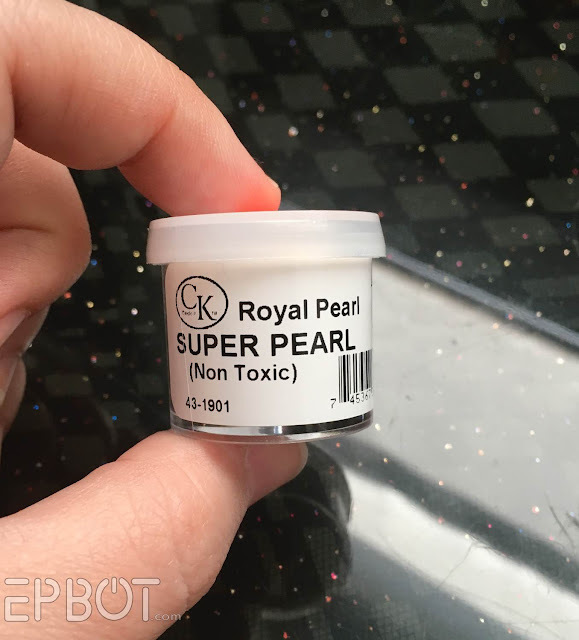 Hi I'm from the UK and struggling to get hold of super pearl dust! Does anybody know of a brand name I can try? Will sugarflair ice white lustre dusting do???????? I just bought some Tropical punch Kool-aid and the Wilton brand pearl dust (the punch comes out red, and I got white pearl dust) and the effect turned out very nice. It's fun to put it in clear bottles and just keep shaking the koolaid. I put about an 1/8 of tsp of the pearl dust, into the 20 oz bottle of koolaid that I made. This was the hit of the party! We skipped the dry ice. For the blue punch just mixed blue Gatorade with some club soda. I'm having a Harry Potter Christmas party on Christmas Eve, but have very few foods/drinks that are Potter-ish (I'm making butterbeer, either wizard hat cupcakes or owl cupcakes, and the plates, serving trays, cups all look Hogwarts-y, but now I've ordered the Luster dust or whatever it's called on Amazon, so I'll be making this punch! THANK YOU SOOO MUCH! I'm the same person who is having the Harry Potter Christmas from the comment above and I just did a kid-friendly version of this and I haven't gotten the Luster dust yet (it's coming tomorrow) but I used about 2 cups of Sprite,1/4 cup of white grape juice (the kids don't like pinapple) and roughly half a cup of Polar Blast Hawaiian punch. It's actually very good, and, although it's a very pale blue-green, the Pensieve in the movie looked kind of like a cloudy white, so I'm happy with how it looks. But I couldn't have done it without you, so I am eternally grateful! I just threw a Harry Potter themed birthday party for my 11 year old son and used your pensive potion idea. I had to special order the glitter as I live in a very remote area. 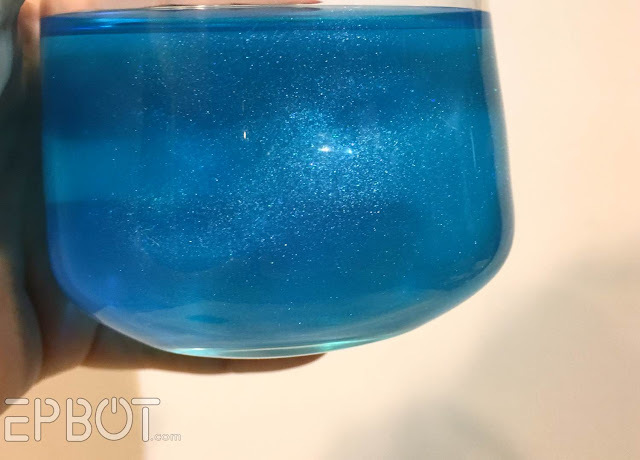 I mixed sprite with blue Hawaiian Punch and the glitter and it turned out AMAZING! The children loved it. Thank you for the idea.